The perfect car, a bacon wrapped Ford Fiesta. 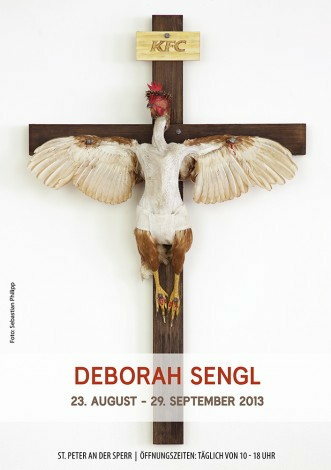 Deborah Sengl's "crucified chicken" is currently on display at the city museum of Wiener Neustadt, in Austria. A lot of catholics don't like it one bit, but Sengl insists she's being misunderstood. It's not about christianity, she says. Instead it's "a statement about the pain inflicted by butchers during food processing." How do all these guys not have broken legs? I didn't really believe people could play football on unicycles, but now there are nine teams competing in Texas. How do you even throw a football while on a unicycle being chased by other uni-cyclists? Great slow motion action with great music!! What's the next sport? Make up your own and submit in comments! This Main lobster is a one in 50 million mutation. Anyone know why I am calling the lobster Lokai? According to this youtube video, the secret is to remove the glands under the legs. The end result is meat so tasty "you'll slap your grandma." Another pro tip: If you didn't road kill the raccoon yourself, and are getting an already skinned animal from a trapper or hunter, make sure the feet are still attached. Otherwise, you might have been given a cat or opossum. Apparently this is an old trick in the raccoon meat trade. Thanks to WU-vie Mark De Novellis, we learn of a new UK exhibition devoted to the work of outsider artist Madge Gill. If you image-google her name, you get tons of examples, such as you see above. A nice visit if you're in the UK over the next several months. After recovering from her illness, she took a sudden and passionate interest in drawing, creating thousands of mediumistic works over the following 40 years, most done with ink in black and white. The works came in all sizes, from postcard-sized to huge sheets of fabric, some over 30 feet (9.1 m) long. She claimed to be guided by a spirit she called "Myrninerest" (my inner rest) and often signed her works in this name. A British man came up with a genius idea to discourage telemarketing calls. He has England's equivalent of a 900 number that he gives to businesses he deals with. Friends and family get his private, non-pay number but all others who wish to contact him pay for the privilege. 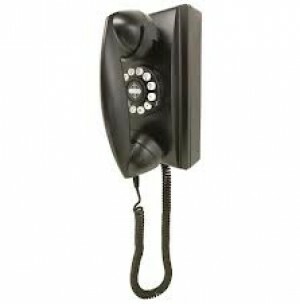 He receives less than half the number of telemarketing calls that he used to each month and so far he has made more than $450 from the line. Awesome! With over 57 million youtube hits, This could be the most viewed PSA ever! A horror classic from 1977, made as a British Public Information film to warn kids not to play on railway tracks.